I love thrifting in Roseville! I’ve written several articles about our shopping trips. On our last trip we spent a lot of time in our favorite antique mall, Antique Trove. The guys were out mountain biking by the lake so we spent our day shopping and found some of the cutest vintage succulent planters that I’ve ever seen! 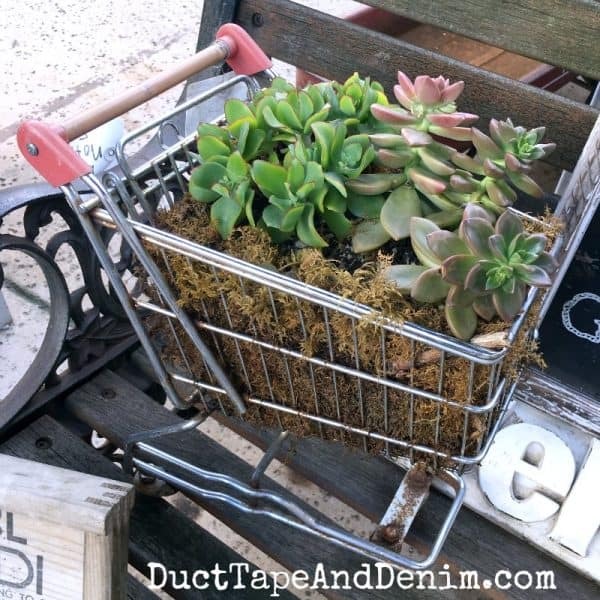 Check out these cute succulents in a tiny shopping cart. Antique Trove is huge! I could easily spend a couple of hours in this antique mall! They even have an outdoor section behind the store. 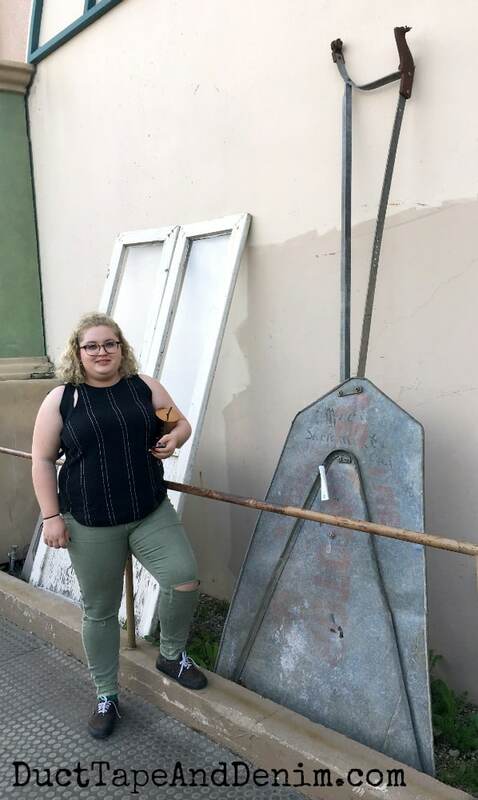 I really wanted to buy this huge piece of a windmill but it wouldn’t even fit in the Jeep! I made Jo stand beside it for scale. Since I couldn’t take the windmill home I scouted out some smaller ideas… THIS I could do. I have an old washboard just like this one that I hung in my laundry closet. Every time I see it I thank God for my washer and dryer and that I don’t have to scrub on one of these! This was another of my favorite vintage planter. 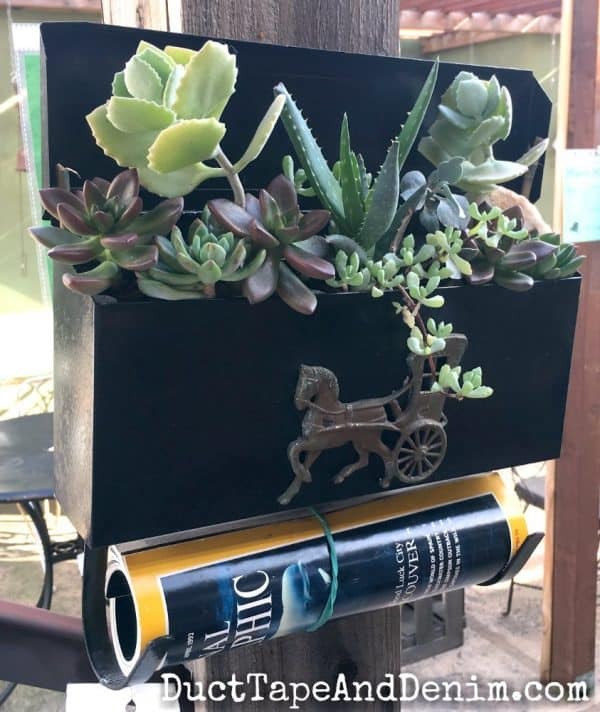 Succulents can grow in just about anything. Just be careful not to overwater if there’s not a hole in the bottom of your planter. 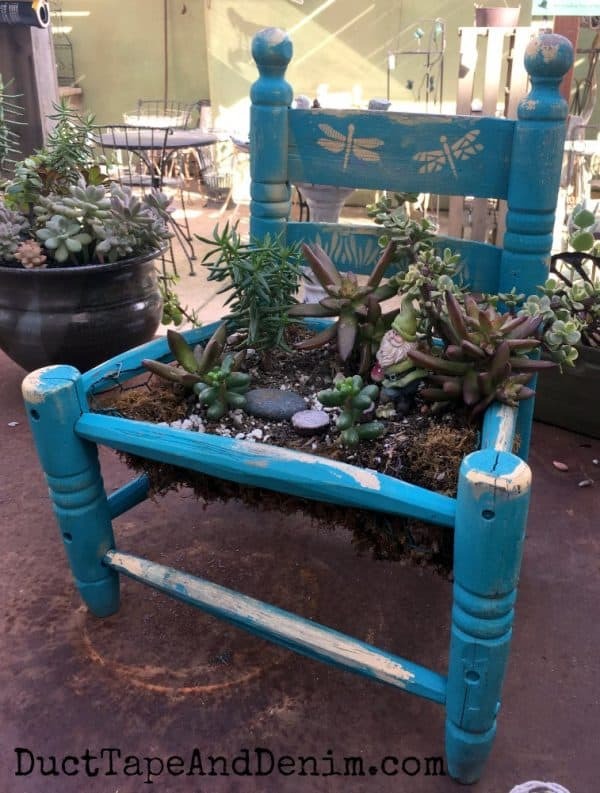 How ’bout a fairy garden in a child’s chair? Similar to my vintage chair planter makeover but much smaller. 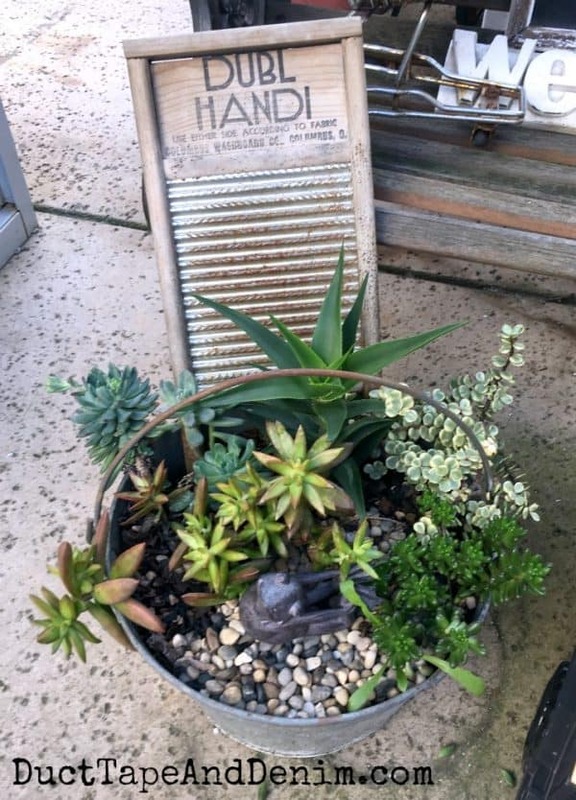 I’d love to see what you plant your succulents in… come join Thrift Store Makeover Facebook group and share your photos!